Fantastic capture of the texture of this wood. Wood is so photogenic. This is very well done Howard! Lots of texture there, great shot. 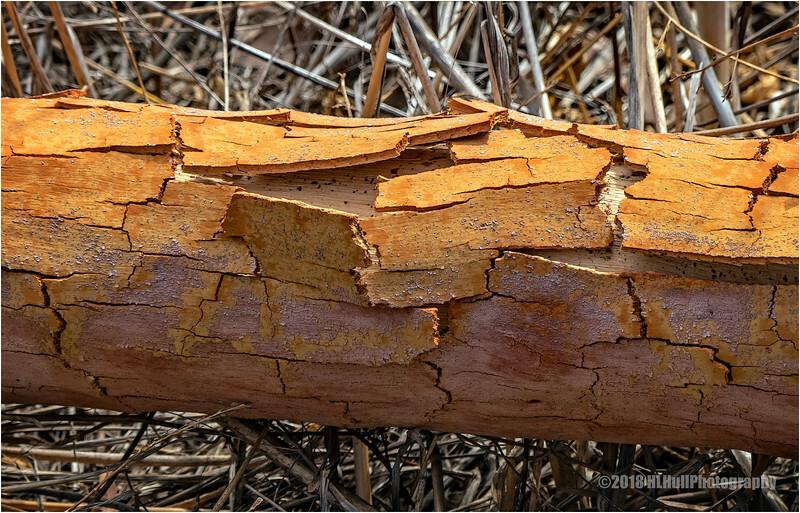 You find the best texturized subjects to photograph and share with us! So tactile... wonderful colour & texture! Wow, the bark is really coming off this fallen tree. I can picture woodpeckers and other birds wanting to poke around and look for some yummy bugs for lunch.